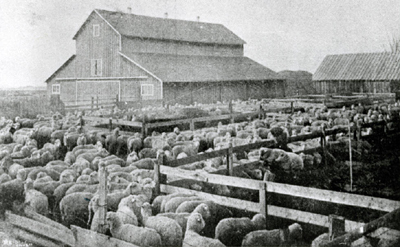 The following resources at the Archive at Fort Collins Museum of Discovery and beyond can help you explore farms, ranches, and other rural properties in Larimer County. 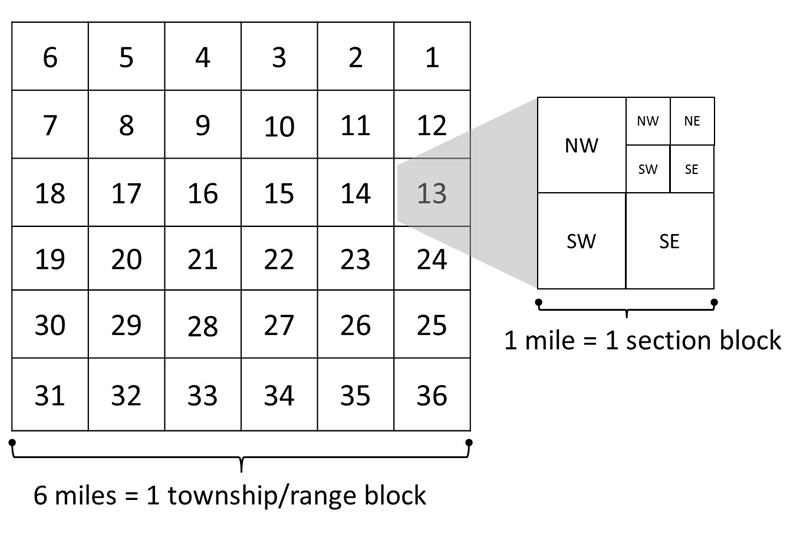 Colorado uses the Township, Range, and Section method of land measurement and description. 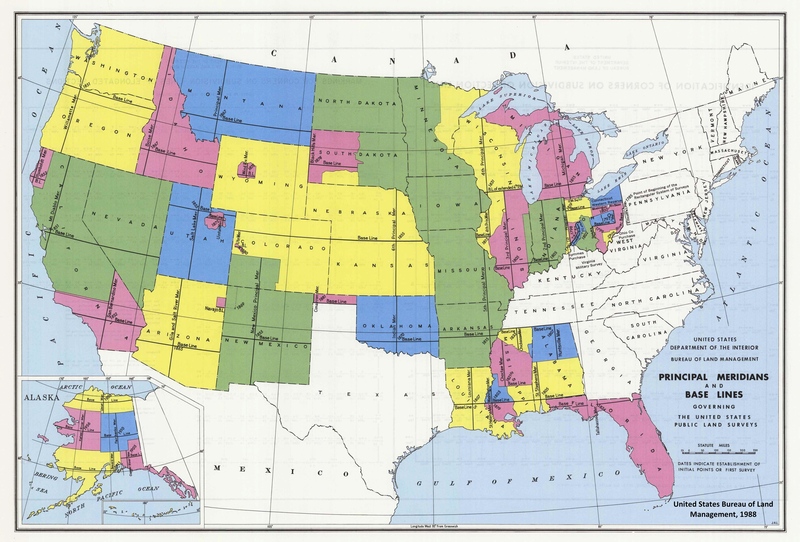 The Township and Range system, sometimes called the "Public Lands Survey System," was developed to parcel out western lands as the country expanded. The system takes many western states and divides them using a base line and a principal meridian. As you go to the east or west of the principal meridian, the range increases in that direction. If you go north or south of the base line, the township increases. This system divides the land up into townships and ranges that are 36 square miles each. Each township and range is then subdivided into 36 smaller squares called sections. Each section is one mile square. Individual sections are then subdivided into half sections and quarter sections and so on. 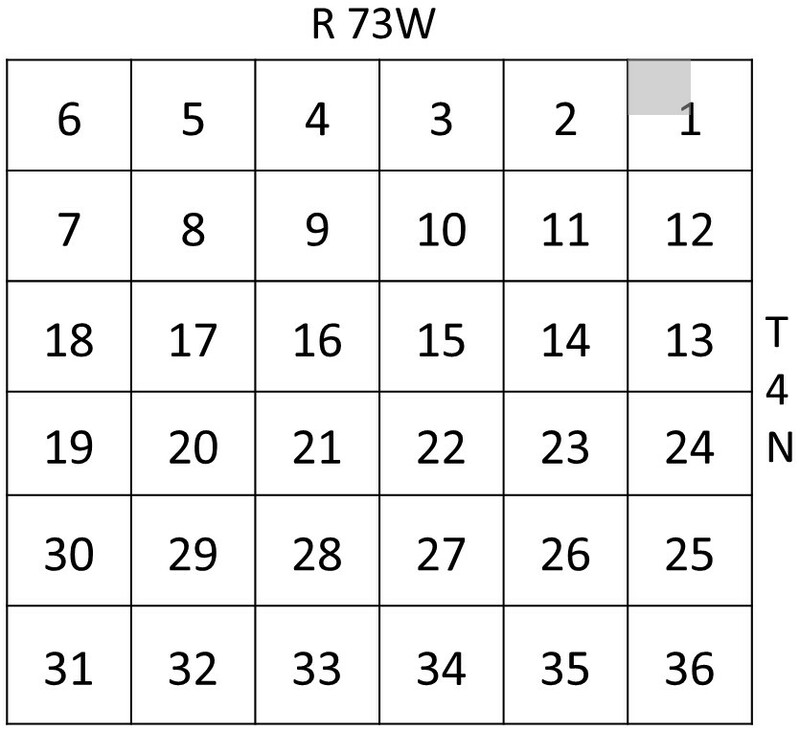 Sections are numbered within a township from the upper right to the lower right in an alternating manner (1 to 6 are numbered from right to left, 7 to 12 from left to right, and so on). The squares are quartered, and then the quarters are quartered again, as shown below. The ranges of Larimer County start at the eastern border of the county with Range 68 West and proceed west until they end with Range 78 West at the county's western border. The principal meridian used to measure our ranges is the 3rd Principal Meridian which is in the eastern part of Kansas and Nebraska. Therefore we are west of that principal meridian. Fort Collins encompasses the area that consists of Townships 6, 7, and 8 N and Ranges 68 and 69 West. The legal description for Old Town Fort Collins is "Township 7 North, Range 69 West, Section 12". As mapped out above, the legal description for parcel number 34012-21-108 is: Township 4 North, Range 73 West, Section 1. The online photographs in this collection were scanned from original Tax Assessor Records that were transferred to the Archive at Fort Collins Museum of Discovery after they were microfilmed for the Assessor's office. These cards date from 1948 to circa 1990; this online collection includes photographs taken circa 1948, 1968, 1977, and 1987. The photographs are organized into groupings according to the legal descriptions of the properties.